Quantum of the Seas To Go To China – Other Cruise News: Holland America Expands UK Program (Again) – Who Needs A North Star Capsule When You’ve Got This? Last week, Royal Caribbean International shocked the industry by announcing that from June 2015, its newest ship, the 167,000-ton Quantum of the Seas, will be based year-round in Shanghai. We take a look at the repercussions for Royal Caribbean and what the other Asia players, Costa, Princess and Star, are up to as well. Meanwhile, Holland America has been quietly growing its UK round-trip cruise market to the extent that in 2015 it will be offering thirteen round-trip UK cruises from Harwich. And finally, we have an interesting look at some overhead views. 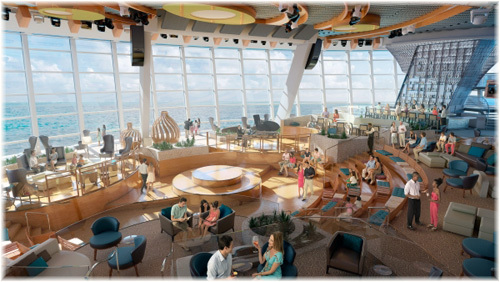 Last week, Royal Caribbean International announced that commencing in June 2015, the new lead ship of its newest class, the 4,180-berth Quantum of the Seas, will be based year-round in Shanghai. But before going to China, she will sail from New York as originally planned, but only on a short half-year season that begins in November. Starting in June 2015, she will cruise on 3- to 8-night itineraries from Shanghai to Japan and Korea. According to Lisa Lutoff-Perlo, executive vice president of operations for Royal Caribbean International, “sometimes decisions are strategic in nature, not immediately revenue driven.” Certainly Royal Caribbean has been spending lots of time and money on the Asian market, having sent its 3,114-berth Voyager of the Seas to Asia in 2012 and sister ship Mariner of the Seas in 2013, to be based there on a seasonal basis. Royal Caribbean has also developed links with the Port of Xiamen (a city of 5 million once known as Amoy) and the likes of the Shanghai-based Shan Hai Shu Group, which with its connections to shipbuilding, could even see Royal Caribbean build ships in China in the longer term. Although the Quantum offers much of what the Asian market wants (Chinese passengers like the newest and the biggest), some modifications will be carried out when the ship makes her move from Royal Caribbean’s Bayonne terminal in the Port of New York to Shanghai. These will affect primarily the casino, gift shops, restaurants and galley spaces, as when deployed in Asia she will be marketed primarily to the Asian market. The galley changes will affect food service, as apparently the Asian market did not much like Royal Caribbean’s rice when it first arrived in Asia and the line had to change its rice cookers because of the local market. According to information provided by Royal Caribbean last year, per diems and on board spending can be significantly higher in China than in Europe and North America, chiefly because of casino spending and high-end luxury purchases on board. Some say that the Chinese are price conscious, but according to recent annual figures from the UN World Tourism Organization, Chinese tourists became the world’s biggest travel spenders in 2012, when outlays on outbound travel grew to $102 billion, up 40% from 2011. 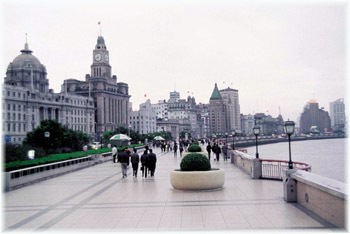 But although cruise spending is up, China does not yet appear in the top ten countries for cruising. After a Transatlantic voyage from Southampton to New York this November, the Quantum will spend the winter sailing from Bayonne before departing on May 2, 2015. The 3,634-berth Liberty of the Seas will then start summer service from Bayonne on May 6, offering 9-night cruises to the Caribbean and 5-night cruises to Bermuda, as well as autumn cruises to New England and Canada. On November 12, 2015, the Liberty will re-deploy to Galveston, while the second “Quantum” class ship, Anthem of the Seas, will head for New York after completing a summer season sailing out of Southampton. The Anthem will sail 7-, 10- and 12-night winter cruises to the Bahamas and the Caribbean, including a new Western Caribbean itinerary. The surprise move has lead some to question whether there is overcapacity in North American market. 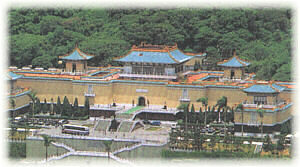 But if so, Royal Caribbean could easily have sent one of its older ships, say Liberty of the Seas, to China. But the move could have to do with Bermuda, where the Quantum of the Seas had been tentatively scheduled to call in 2015. Simulation tests run in Baltimore last year determined that with her deep draft the Quantum is too big to berth in Bermuda without dredging of the navigation channels. So pulling Quantum out of New York could give the 3,998-berth Norwegian Breakaway an upper hand in Bermuda over the Liberty of the Seas. Equally, the same could apply with the Anthem not going to Florida to take on sister ship Norwegian Getaway, which arrived there in early February. 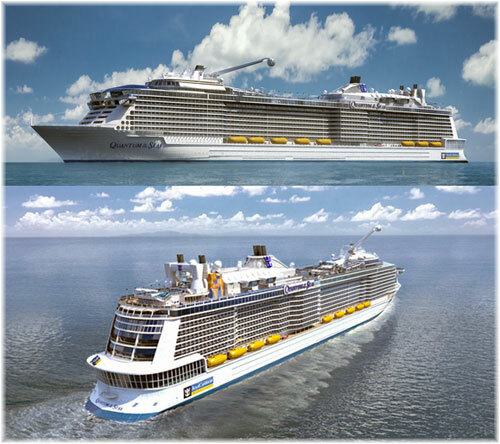 As to deployments after the Anthem of the Seas, there will be another “Quantum” class ship for delivery in May 2016 and a further 5,408-berth “Oasis” class ship that June. The latter could be assigned to Europe, or if the Quantum is successful, even go to Asia. That is not to say that further orders may not be placed for either class of ship. The reactions to this latest move from the competition may be interesting. In the Carnival stable, there are two players in Asia. Perhaps because of the voyages of Marco Polo and the shared Chinese and Italian propensity for noodles, Costa Cruises has been chosen as Carnival’s vehicle for the Chinese market. So far, the largest ships Costa has consigned to China are the 2,112-berth Costa Atlantica, and the 1,928-berth Costa Victoria, a slightly older vessel. On the other hand, Princess Cruises has been chosen as Carnival’s vehicle for the Japanese market. Its 2,674-berth Diamond Princess, which will be based in Yokohama later this year, and sister ship Sapphire Princess were both built in Japan. And last year, Princess refurbished its 2,022-berth Sun Princess specifically for the Japanese market, with a new Kai Sushi seafood and sushi restaurant, updated buffet and refreshed spa. Sun Princess begins her second season of Japan-based cruises next week from Kobe, and will be joined by the Diamond Princess from Yokohama. Some cruises will also be offered from Otaru. The two ships will offer forty-two cruises on nine different 7- to 9-night itineraries that will visit more than twenty ports in Japan, South Korea, Taiwan and Russia. Meanwhile, incumbent Asian cruise line Star Cruises has ordered two 3,384-berth ships for delivery in 2016 and 2017, which is perhaps a late reaction to Royal Caribbean and Costa’s arrival. Apart from running ships on short cruises mostly geared to gamblers, Star has done little to develop the Asian long-cruise market, possibly because it has been concentrating on the development of Norwegian Cruise Line, several of whose ships came from Star. 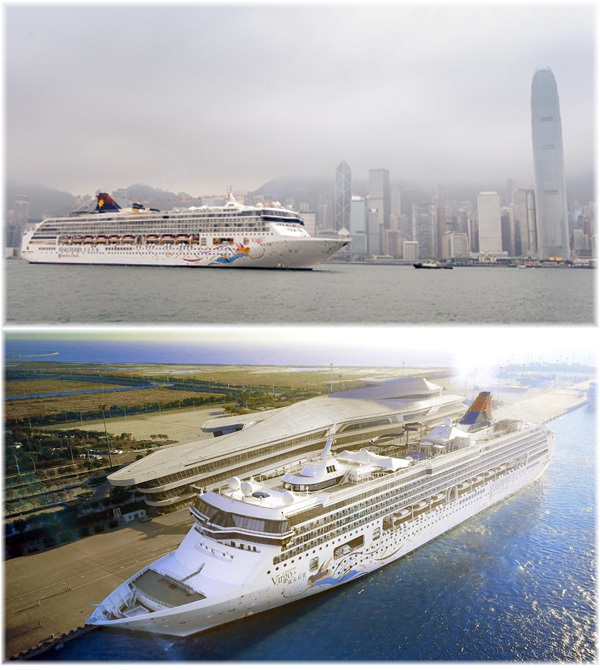 Star’s best ship, the 1,804-berth SuperStar Virgo, is based at Hong Kong this summer, trying to re-establish long-distance cruises in that market, which has largely seen overnight gambling cruises for the last ten years, and the 1,532-berth SuperStar Gemini is based in Singapore. 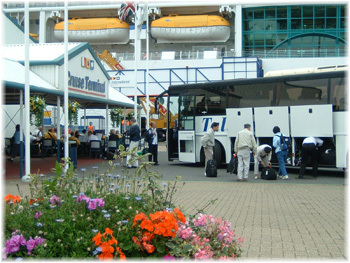 There was a time when UK cruisers traveling on Holland America Line were offered the odd sailing from either Dover or Harwich, often finishing in another country. But in recent years, while, lines such as Costa Cruises and Norwegian Cruise Line have abandoned the ex-UK market, Holland America has developed a quiet success of its own business from the UK. 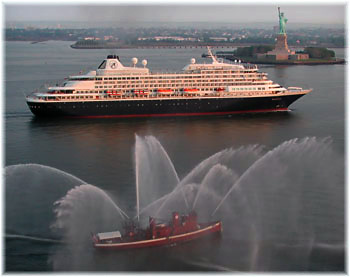 As recently as five years ago, in 2009, the line announced that its smallest ship, the 793-berth Prinsendam, would make a short series of ex-UK cruises from Greenwich and Dover. In 2014, Holland America is offering its 1,266-berth Ryndam on eleven round-trip cruises (as opposed to just three) from Dover, so the success of these UK departures has been enough to extend the program even further next year. In 2015, Holland America will offer an extended series of thirteen round-trip cruises from Harwich with its Ryndam, giving the UK a dedicated ship for the period from May through September. Harwich is an ideal port for Londoners as it has the UK’s last dedicated boat trains, which run from Liverpool Street station to right alongside ship at Harwich International. Holland America has seven ships based in Europe this year and next. Northern European cruises depart from Rotterdam, Amsterdam and Copenhagen, while Mediterranean cruises leave from Venice, Barcelona, Rome, Istanbul and Athens. Who Needs A North Star Capsule When Youv’e Got This? While talking about Royal Caribbean International’s “Quantum” class ships, there can’t be many people that are not now familiar with the planned North Star capsule that will take guests up to 300 feet above sea level. And for those who like more practical explanation as to how drones can help a ship navigate through ice there is this: http://vimeo.com/90016886.